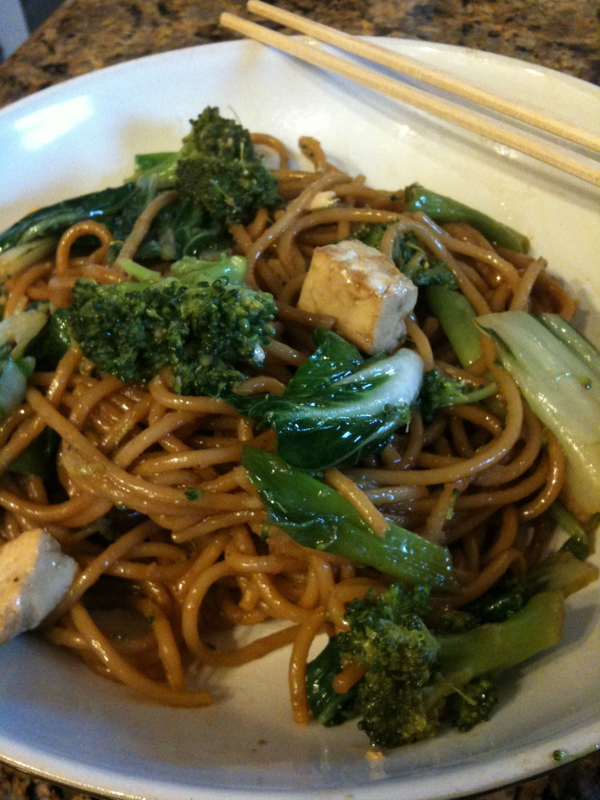 You are here: Home / Uncategorized / sesame ginger noodles with lots of other stuff. sesame ginger noodles with lots of other stuff. So please, Readers, bypass Memory #1 and go to Memory #2. These noodles rule. And whoa, I totally just typed “these noodles rool.” I changed it, but then admitted it, so I’m not sure why I changed it.. or admitted it. Anyway, They rule. Rool. Rül. Whatever. They’re good. I ate them cold out of some random Tupperware last night before a group interview. I ate them hot, voraciously, Fantastic Mr. Fox-style two nights ago, fresh out of the pot. And now I’m seriously considering going downstairs to eat the rest of them with my bare hands. I should never blog when I’m hungry.. The best part about these noodles is that they’re exactly how I like them to be. However, I took a huge batch on a college spring break woo party! trip to the coast, and everyone I went with loved them, too. The point? You can make them how you love them.. and everyone else will probably still love them, too. Second best part about these noodles? You can use almost any vegetable hanging out in your fridge. It’s a nice “everything but the sink” sort of recipe that, as I so guiltily admitted, works well hot, cold, or with your bare hands. And if you don’t dig sesame that much, just replace it with more soy sauce or more oyster sauce or more vegetable oil! If you super love ginger, add more. Again, see where I’m going with this? Make this how you, dear Reader, like it. And you’ll thank me, and yourself, for it. Half a bunch bok choy, super white part discarded and the rest cut into about 3/4″ slices, starting where there’s always some green on the edge of the heart. 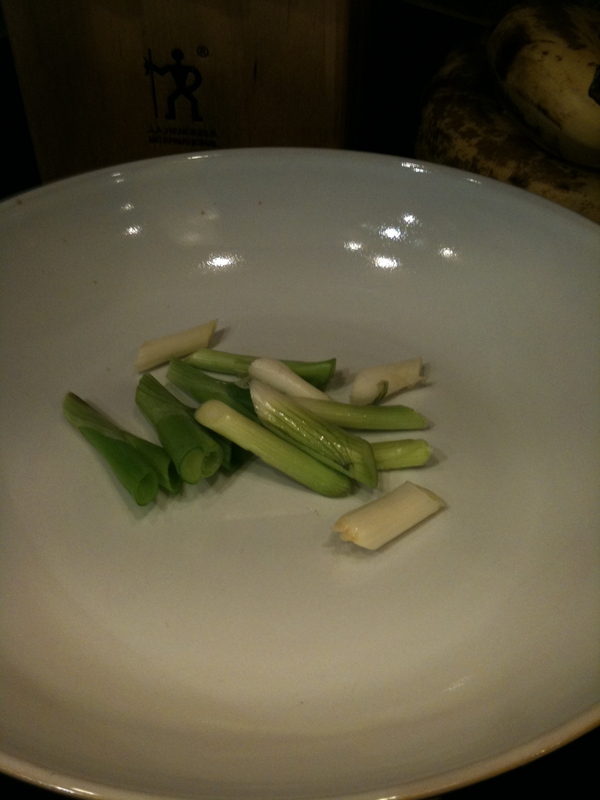 Half a bunch green onions, cut into 1″ pieces. One singular stalk of broccoli, but only because that’s all I had, steamed and then thrown in at the end. 1/3 block of firm tofu, because, if you think about it, it was a vegetable at one point in time.. and I’m Southern. Macaroni and cheese is a vegetable here. Aw, man, that’s it this time. I usually have bean sprouts and bamboo shoots and weird other stuff, but I just went with whatever I had laying around this time. Either way, I just reheated some and ate it with an actual fork and hoooooly mama. It’s good. Then I put evvvverything else in, fry until delicious-looking, coat the cooked 8 ounces of pasta with the sauce, and then throw in the veggies. Season to taste and then go wild. Wild, I tell you! 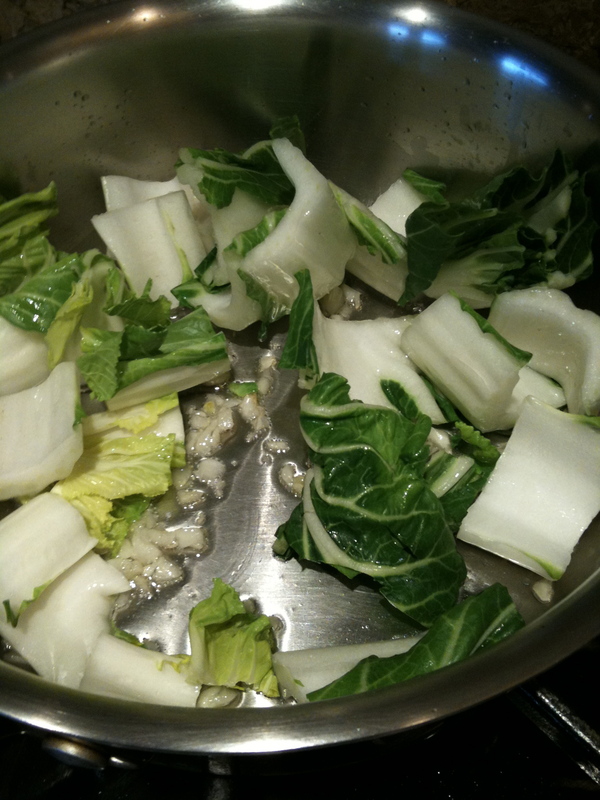 4 stalks bok choy, super white parts discarded and the rest cut into 3/4″ pieces, pure greens parts separated from hearty parts–hearty meaning pieces with some semblance of a white heart remaining. Note: It’s good to have a pot of water at the verge of a boil during the first few steps of the recipe. That way, you can crank up the heat and have it boiling when you’re exactly ready, which is around when you throw in the meaty whitish parts of the green onion [step 3]. 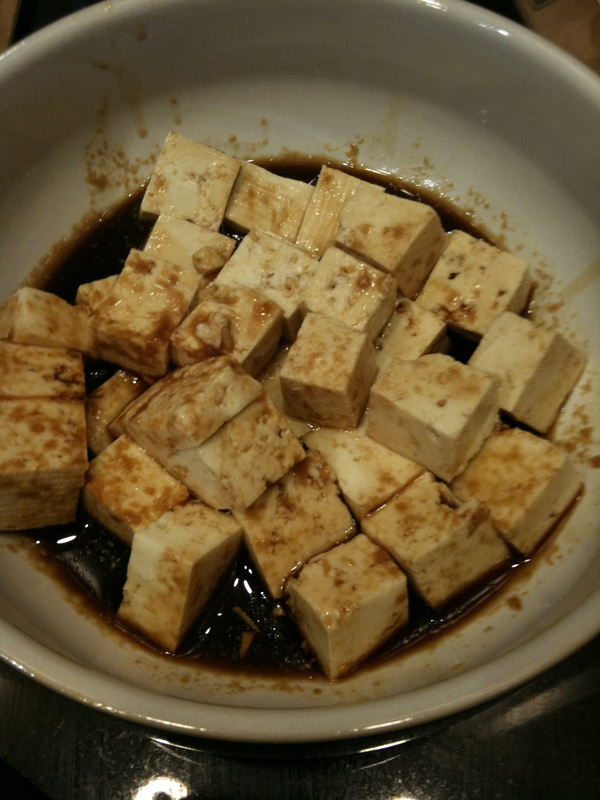 Marinate: Combine all marinade liquids, cut the third of a block of tofu into bite-size cubes and toss in marinade. When ready to use, drain really well. 1. Dissolve cornstarch in soy sauce well. 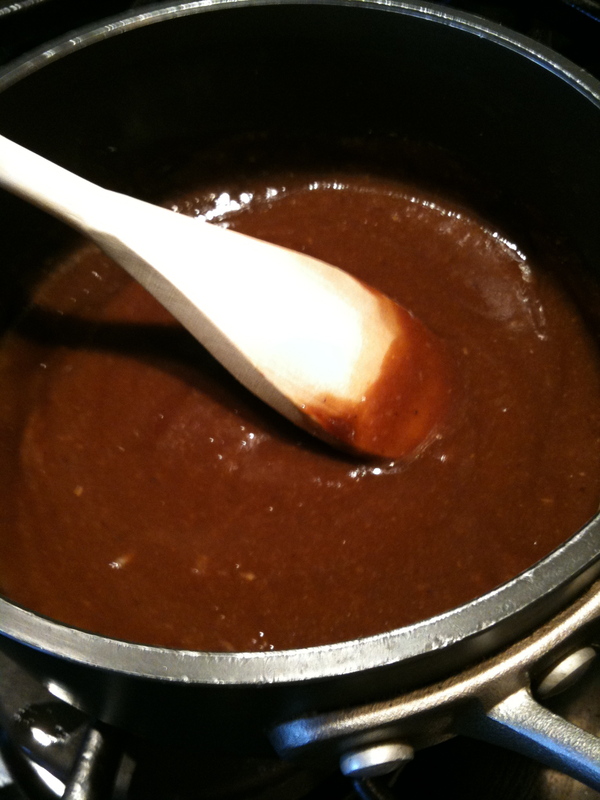 Add to the rest of the sauce ingredients in a small saucepan and heat over low heat until thickened. 2. Meanwhile, heat vegetable oil over medium heat, then throw in garlic and hearty pieces of bok choy. Fry, stirring often, for about five minutes. 3. [Start pasta in boiling water, if you’re using traditional spaghetti.] Throw in meaty whitish parts of the green onion and fry, stirring often, for about three minutes. 4. Throw in the bok choy greens and the green onion greens and fry til a little wilty. 5. Throw in broccoli and fry a little. 6. Once pasta is finished, drain well and toss back into the pot. Coat with sauce and throw in all vegetables. Coat carefully, so as not to break up much of the broccoli, then fold in drained tofu and serve.